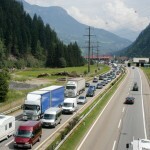 The beginning of the summer holidays got off to a slow start for those heading south via the Gotthard tunnel. On Saturday the queue at the northern end of the tunnel stretched seven kilometres according to 20 minutes. Seven kilometres is almost three quarters of the distance from central Zurich to the airport. 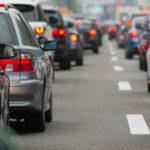 Most holiday makers took to the road on Friday. According to ViaSuisse, traffic queues started on Friday and lasted almost through the night. Traffic was lighter on Sunday and tunnel waiting times had fallen to one hour, with queues of four kilometres. ViaSuisse warns of queues as long and ten kilometres and wait times of 14 to 18 hours over coming weekends, and recommends considering alternative routes over mountain passes. 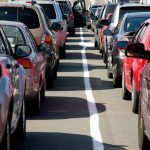 Interesting but the article does not say why the problems is occurring – not built for the excess holiday traffic? When is it likely to get better?